Cooperstown Lodging Company has been providing quality vacation homes and weekly rental properties to families, teams and visitors to the Cooperstown region since 1999. 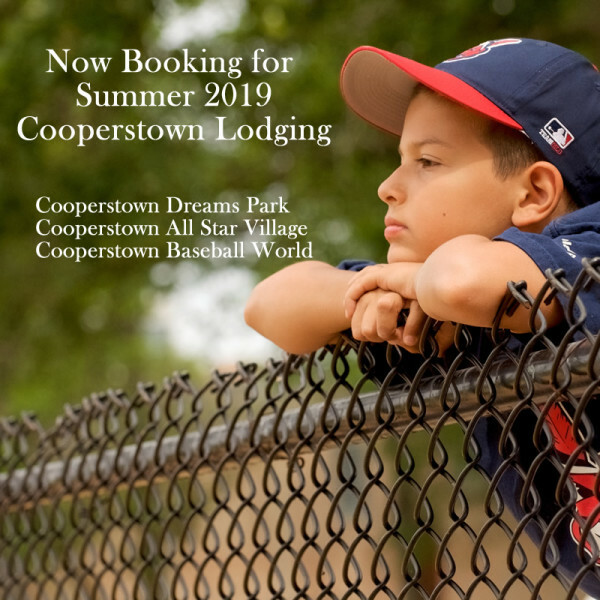 We serve families seeking baseball tournament accommodations for Cooperstown Dreams Park as well as weekly rentals for Cooperstown All Star Village, Cooperstown Baseball World, the National Baseball Hall of Fame and other area attractions in Upstate New York. We offer rental homes in a variety of styles including private cottage rentals (great for that romantic getaway) to private waterfront and lakeside rentals both big and small with properties large enough to accommodate up to 16 people! Every home listed on Cooperstownlodging.com is in immaculate condition, affordable and fully equipped with all the necessities you need to be comfortable for an entire weeks stay. Enter your "Starting From" location and click "Find Directions".